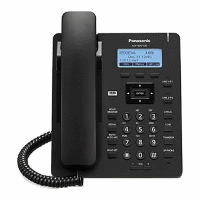 uaCSTA handset are normal SIP handsets that are configured to connect to a uaCSTA server over SIP also. The uaCSTA session is only used for monitor and control the normal SIP accounts. The handset is known by the number of the first working account (the primary). Testing completed with the Go Connect Server. Handsets need to be configured individually (or via provisioning) to point to the uaCSTA server.